From Gucci to Loewe's shows and for a few seasons now, we’ve seen lots of female models walking down the runway with masculine-inspired pieces. And especially after the big 80s comeback that we’re experiencing and the raise of unisex fashion, the androgynous trend is having its moment: big sleeves, wide pants, suits, huge sneakers… And we don’t want you to miss out! Here are a few ways to incorporate all of this into your wardrobe. 1. Long lined blazers. We started obsessing over long lined blazers last September, when the new season was filling every high-street brand with those checkered blazers you probably have in your wardrobe by now. They look good, elevate any outfit and create a very stylish silhouette. Choose one that is on the boxier side for a cooler look, and pair it with jeans, sneakers and a t-shirt for an easy everyday look or with heels and a slinky blouse to go out. 2. Straight legged jeans, but in a longer leg length. 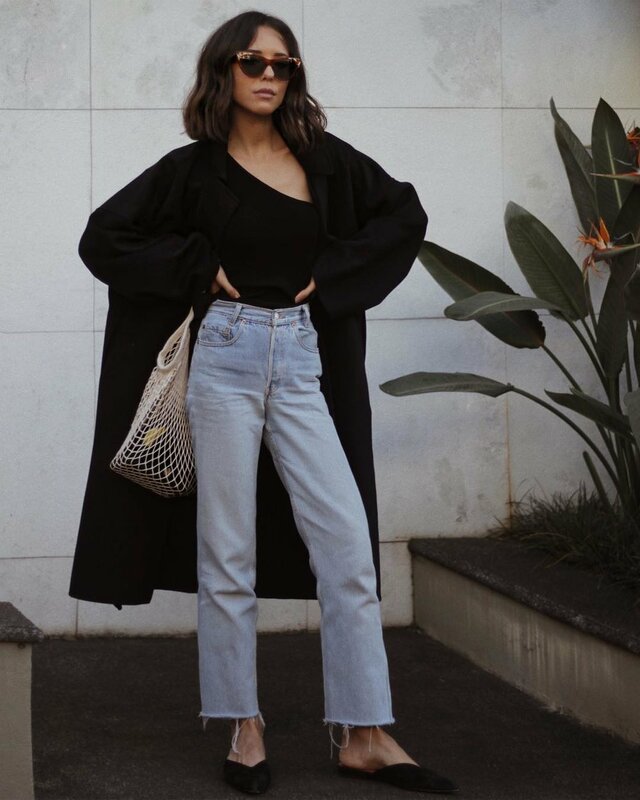 Straight legged denim will always be our favorite: it looks much better than any skinny jean on earth and looks so effortlessly cool and kind of androgynous. But if you want to dig deeper on the masculine side, try a pair that aren't cropped (aka really really long, covering your shoes long). Pair them with heels if you want to stay safe or with a pair of sneakers for a more statement look. 3. Your boyfriends jacket. You probably have one of this at home: in my case, it was my fathers. A big, super oversized jacket, preferably in black, preferably in leather, is the way to go. And they don't only look cool: they're really warm too and they've got huge pockets. You'll thank me later. 4. Huge deconstructed coat. This is the real man repeller. 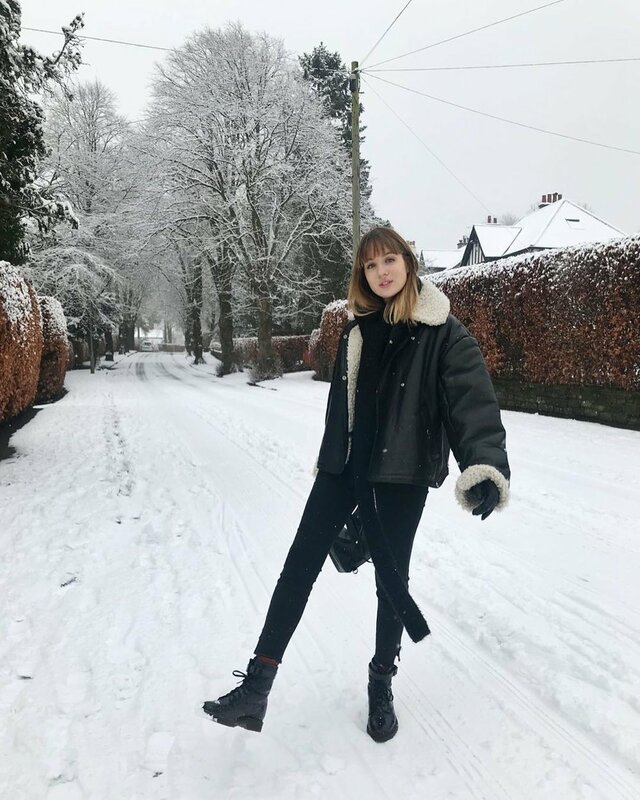 A big and slouchy coat or trench coat is the epitome of coolness and effortless style, and also gives a slight masculine touch to your outfit, as it just falls down and doesn't hug your body. The high street is the place to look for it: Zara and Mango stock them every season, in different patterns and colors. 5. Oversized white shirt (or any other color really). The more oversized the better. For this one you can also go and search into the wardrobe of any of the masculine figures in your life. Just make sure you tuck it into your pants and roll the sleeves. We want to avoid the “I got dressed with my eyes closed and thought his shirt was mine” effect.